signs are sure to get the message across. Available in six popular shapes shown. 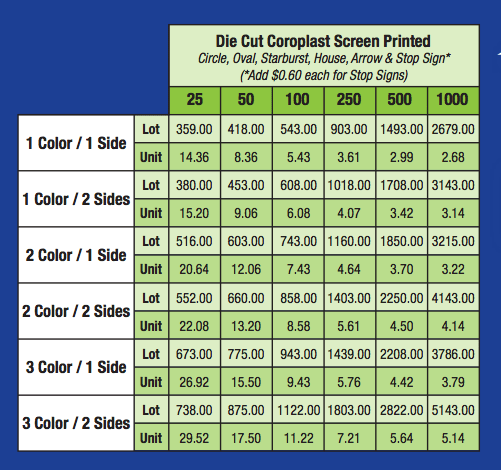 Same fast delivery time as regular coroplast signs.